Whereas Verizon and Sprint will allow iPhone users to use the FaceTime video chat app over cellular, AT&T is forcing some of its oldest customers to sign up for more expensive “shared” data plans for the privilege of using Apple’s otherwise free video chat service. Ma Bell is likewise nickeling and diming iPhone users over iMessages and hotspot sharing. So, who’s the best iPhone 5 carrier? 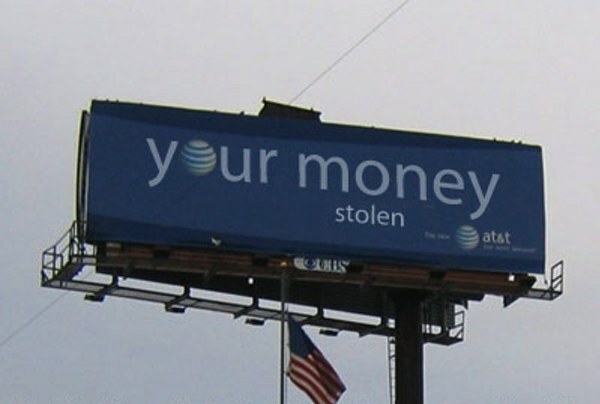 Probably not AT&T. Apple and its partners began taking pre-orders a bit after midnight Friday, September 14, yet it was clear before the end of business that day that the iPhone 5 was already a huge hit. In fact, Apple’s new handset will likely become the fastest selling smartphone in history with at least 5.5 million units (vs. the iPhone 4S’ 3 million) over its first weekend of sales. So, if you’re shopping for an new iPhone — $0 iPhone 4 (HSPA+), $99 iPhone 4S (HSPA+) or $199 and up iPhone 5 (LTE) — you have to thinking hard about which carrier to choose. For what it’s worth, AppAdvice is clear about which carrier you shouldn’t choose, AT&T, and it’s all about the higher prices and restrictions Ma Bell enforces on iPhone users. For example, Verizon and Sprint don’t charge extra for FaceTime, coming in iOS 6 (September 19). For its part, AT&T is force marching anyone on grandfathered “unlimited” data plans to shared data, which is almost always a more expensive option. Similarly, AT&T charges extra for (iPad) hotspot sharing and, again, forcing anyone on a grandfathered unlimited plan to quit that for more expensive shared data. Verizon and Sprint, Ma Bell’s primary competitors, don’t. Fundamentally, if you don’t need hotspot sharing or plan to use FaceTime video calling, then AT&T and Verizon will cost you the same every month for 2GB data and throttling thereafter — about $110 every month. Sprint, by my reckoning, will set you back $90 a month, but that’s for truly unlimited data. Lest it be forgotten, Verizon has one feature that none of the other vendors can match — LTE coverage with more than 300 metros and markets or about 75 percent of the carrier’s total service area. Yeah, there’s that. However, where Sprint and, for that matter, T-Mobile really begin to shine is when you consider an older iPhone (4, 4S) prepaid data. If you plan to pay cash for a new iPhone or already own an out-of-contract iPhone, plans start at about $70 a month and get even cheaper when you factor in Sprint’s MVNO partners, like Cricket and Virgin Mobile. The catch with T-Mobile is that you need to live in a coverage area where 1900MHz band service (i.e. HSPA+) service is available — get unlimited text and talk with 5GB data for $70 a month. Additionally, though T-Mobile is way behind with its LTE rollout, the carrier will offer iPhone 5 compatible micro SIM cards starting in October. Again, if you live in the right area, the savings could be big.